Welcome to AA Realty Boise! 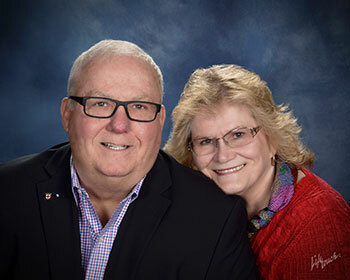 Rose and Larry specializing in helping home buyers and sellers make their next real estate move a success since 1976. Whether you are looking to built that dream home or sell or buy homes in Boise, Meridian, Nampa, Eagle, Star, Kuna or anywhere in between we can help you- even if you are just looking to rent a home in Idaho or want to find a place to buy! Full service. Also, investment property’s buy and sell plus can help in Property management. Full service Real Estate Consultants. Find out what a qualified real estate professional can do to help you today! 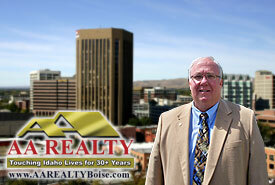 Who is AA REALTY BOISE? Whether you are looking for homes in Meridian, homes in Nampa, or any Idaho Real Estate you have come to the right place. AA REALTY proudly provides the very best Realtor services for: Nampa, Kuna, Caldwell, Parma, Emmett, Eagle, Meridian, Star, Melba and most of all southern Idaho. Use our Home Search to view all listed properties in this region of Idaho. If you would like to have all new listing that meet your preset criteria delivered via email daily just sign into the Dream Home program or our automated home search to begin looking for your next Idaho dream home. 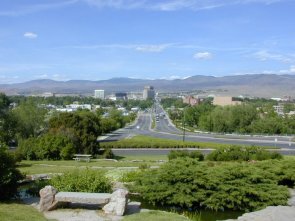 When you look under Tour Virtually you will find virtual tours of listed Idaho properties and tours of Treasure Valley area subdivisions. We hope you find our Idaho real estate website helpful in your search for that perfect property and please do not hesitate to call or email if you have questions. AA REALTY - We Deliver Dreams. Why Do You Need a Boise Realtor®? A qualified Boise REALTOR® can do more than simply help you find a home! Read this brief article to learn more about the ways a skilled real estate professional can help you! 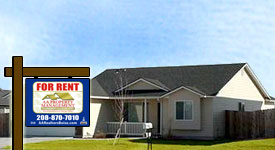 Find Homes for Rent in Idaho! It's EASY to find the best homes for rent in Meridian, Boise, Eagle, and Canyon County! Browse through my available rental listings to find just the right place! Looking to sell your Idaho home? We can help make the move easy! These great tips and info are just what you need to do to make your next move a success - including: How to Prepare Your Home for Sale, Moving Checklist, and more! GREAT Idaho Home Buyer tips and info! This helpful Idaho home buying article can help save you time and money when buying your next Idaho home! The crawlspace under your home is an important and often overlooked part of your home maintenance. Keep things running smoothly with this checklist! Search Homes for Sale and Foreclosures with Roost.com! Find homes for sale on Roost free from obligation Our real estate search is free and easy: Find MLS listings, properties for sale by owner, new homes, and foreclosures for your next home, business or investment. Whether you are looking for a single family home, multi-family home, condo, town home, lot, land, farm or mobile home, you'll find it here. Many people in Idaho and throughout the nation are facing difficult times. We all need a hand from time to time, and this Idaho Self Help guide is a great resource for pulling yourself up on your own. Great information on money saving tips, resources, and more to help you get through and save yourself! We are proud of Rose for receiving this prestigious award! 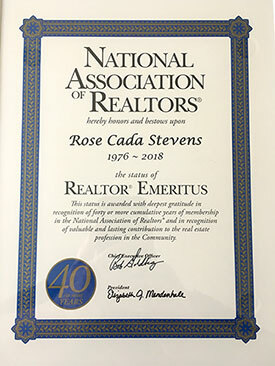 The REALTOR® Emeritus status recognizes members who have forty years of membership and have completed at least one year of service at the national association level. For applications filed through 2019, the one-year service requirement may also be met through service at the state or local level. See the difference an experienced agent can make! Get in touch! Larry is a licensed Real Estate Professional, specially trained to help you buy a great home and remodel it to meet the needs of you and your family, all with one loan. (Easy). Buying or selling a home that needs updated or rebuild, Larry can help. FHA 203k may just be what you need. Call Larry today for details. 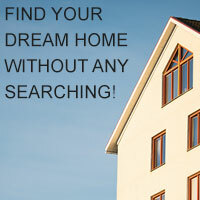 Use our automated Idaho home search to find your Idaho dream home now!! Choose the details of the home of your dreams; results are sent to your email inbox automatically. Fill out our simple form and receive a free electronic relocation kit in minutes. AA REALTY can help make relocating to the Boise area easy! We're a Christian humanitarian organization helping children, families, and their communities overcome poverty and injustice. We serve all people. No matter their religion, ethnicity, or gender. Keeping our costs down (85% to programs) means your gifts make the biggest waves possible. Going after poverty's symptoms is temporary. Going after its cause is permanent.